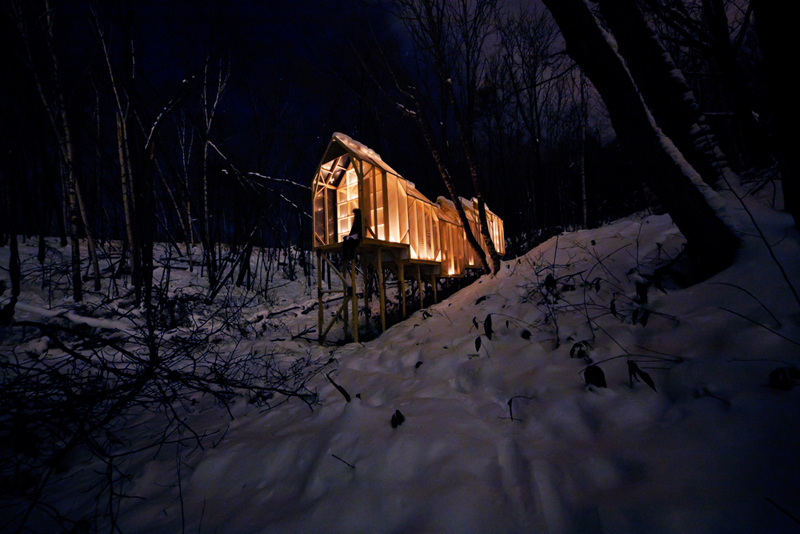 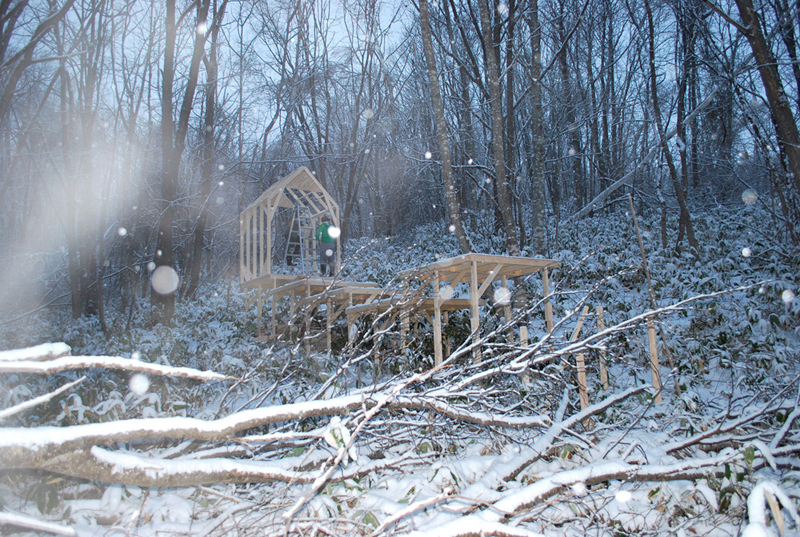 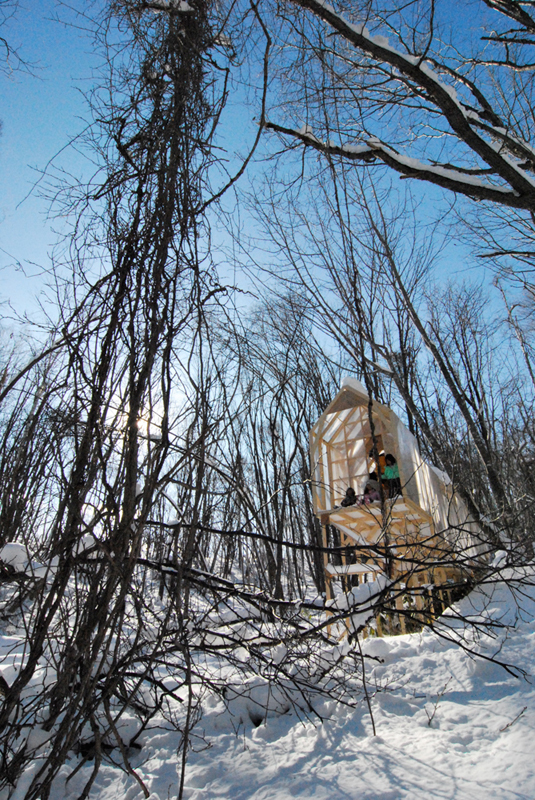 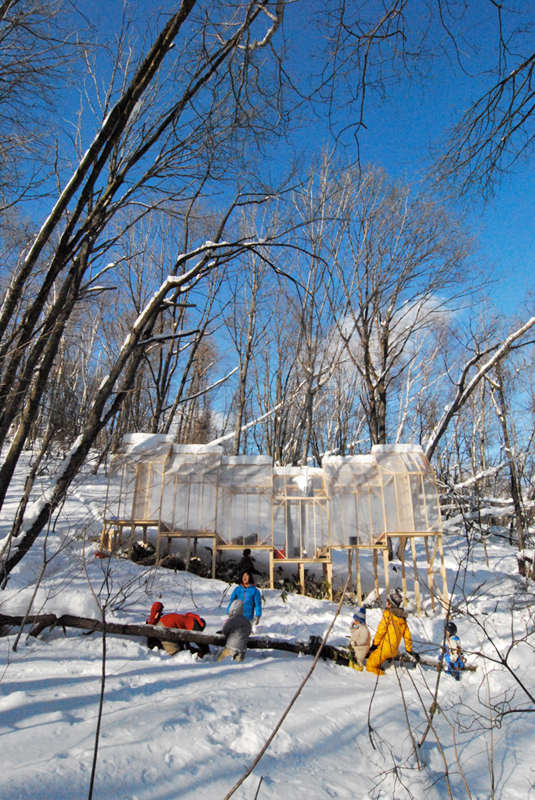 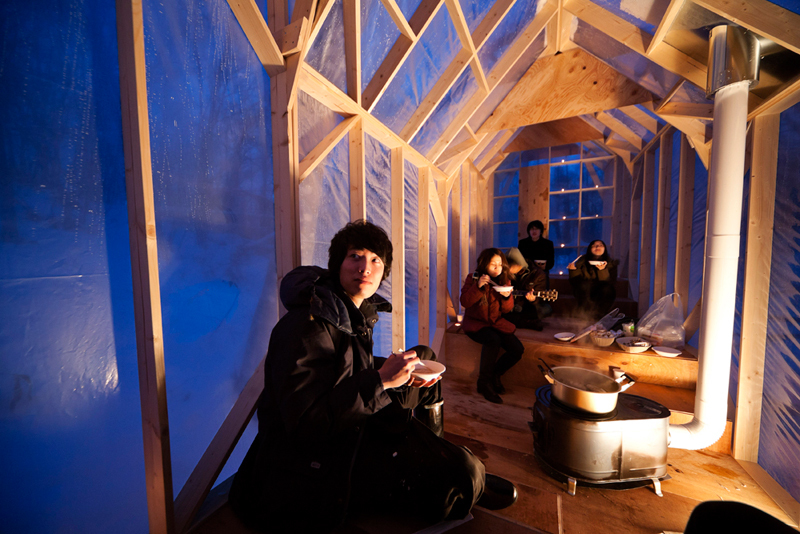 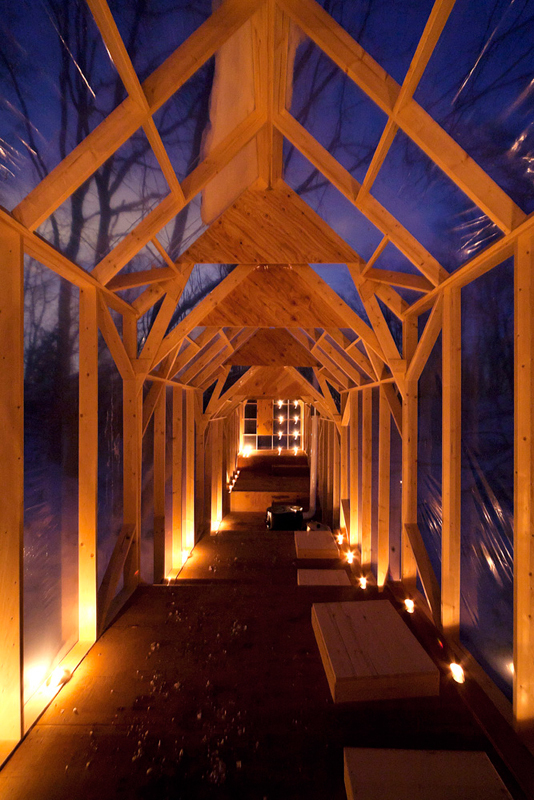 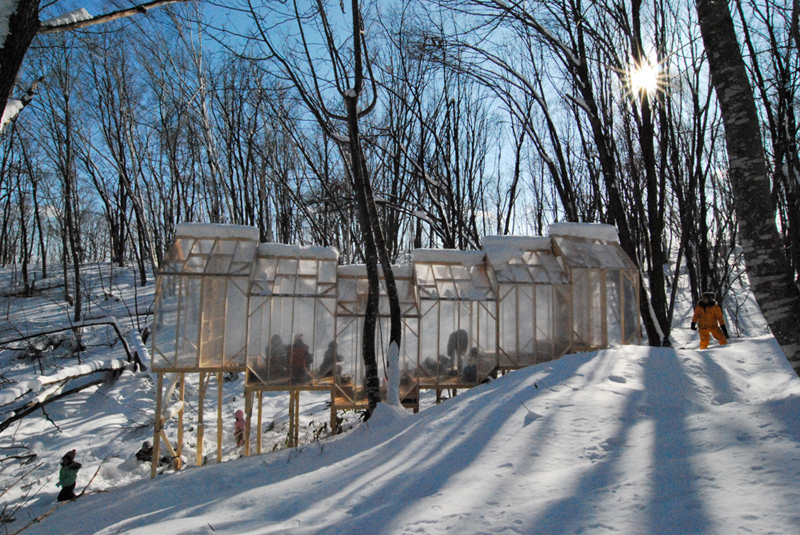 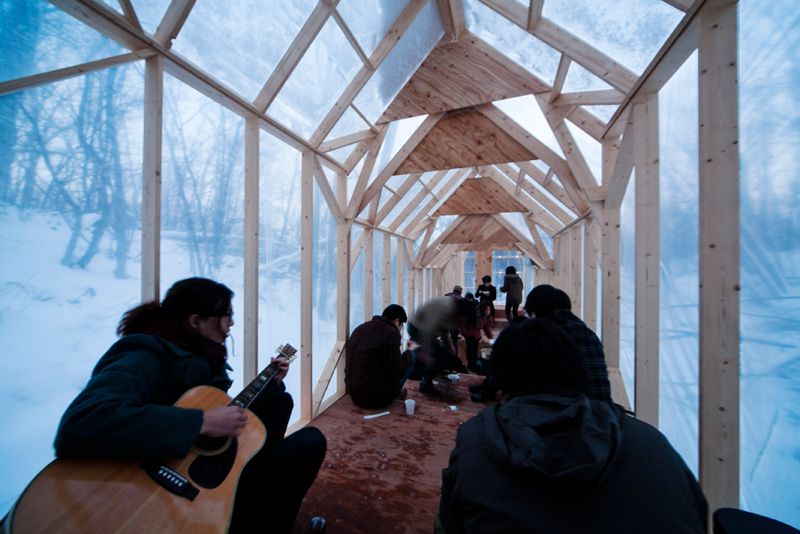 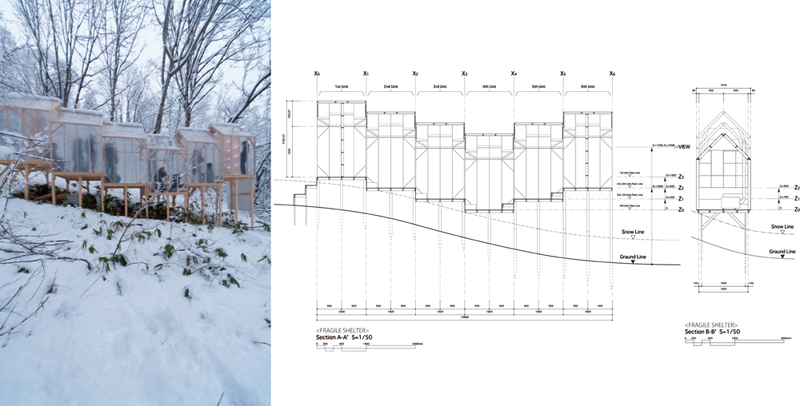 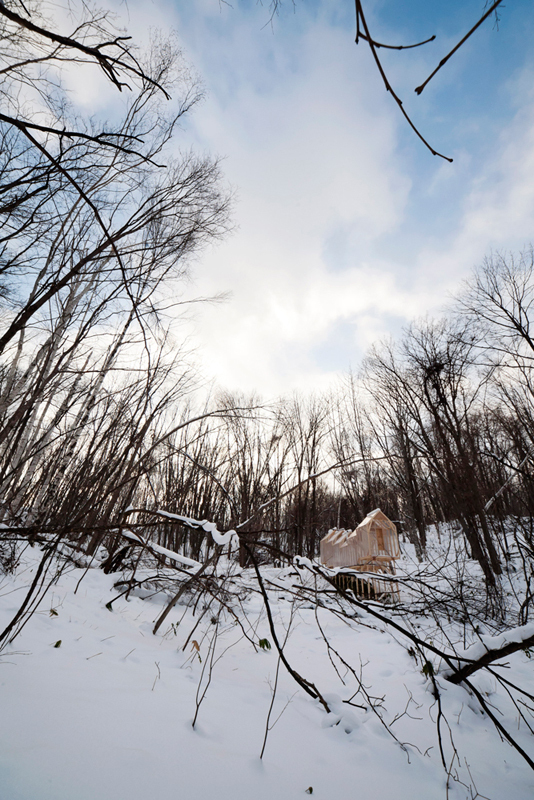 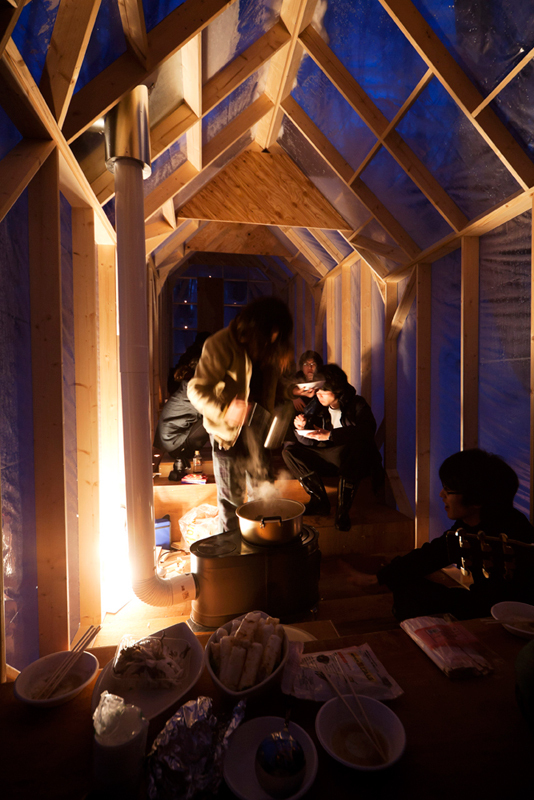 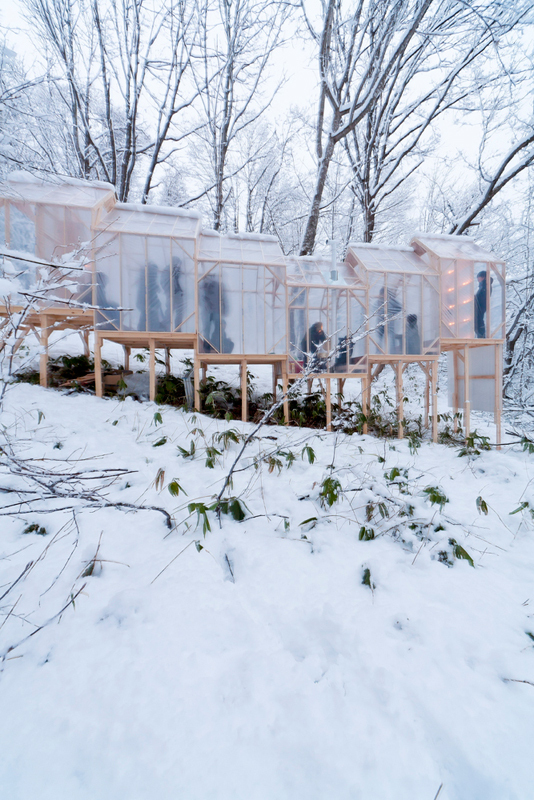 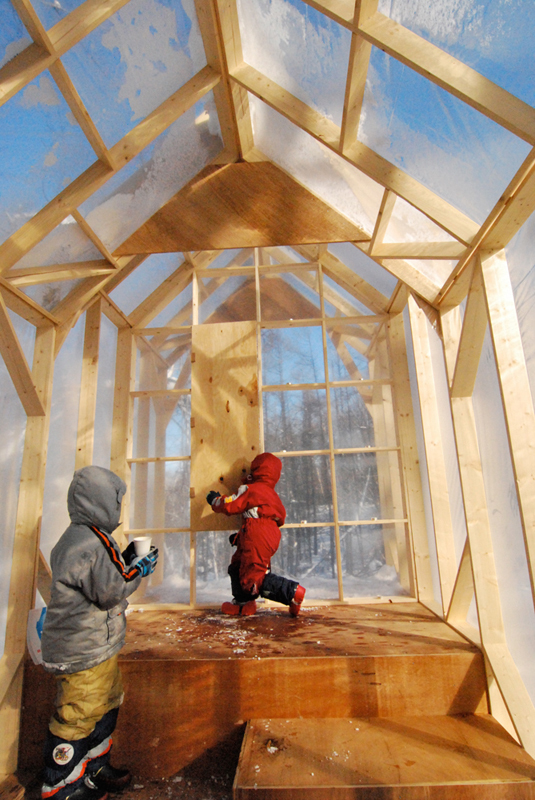 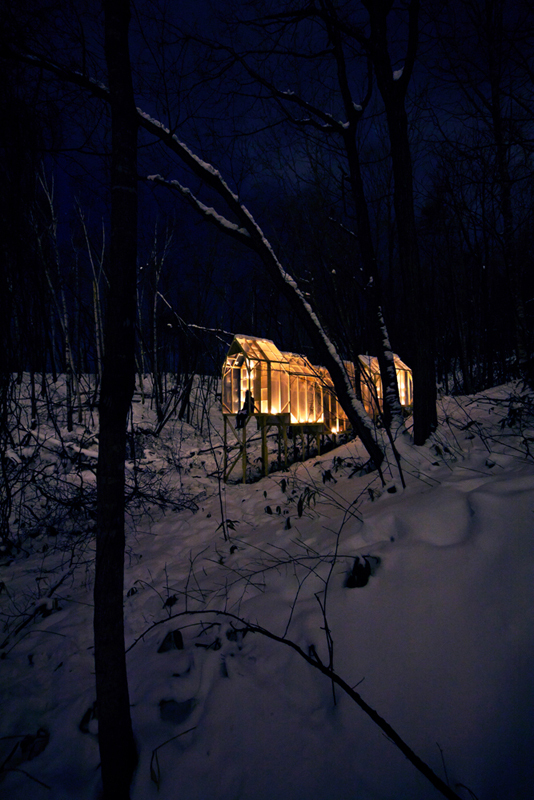 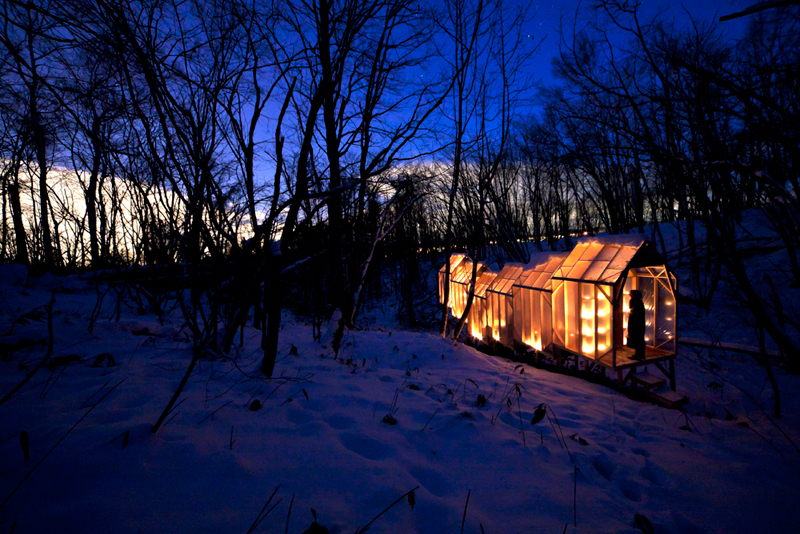 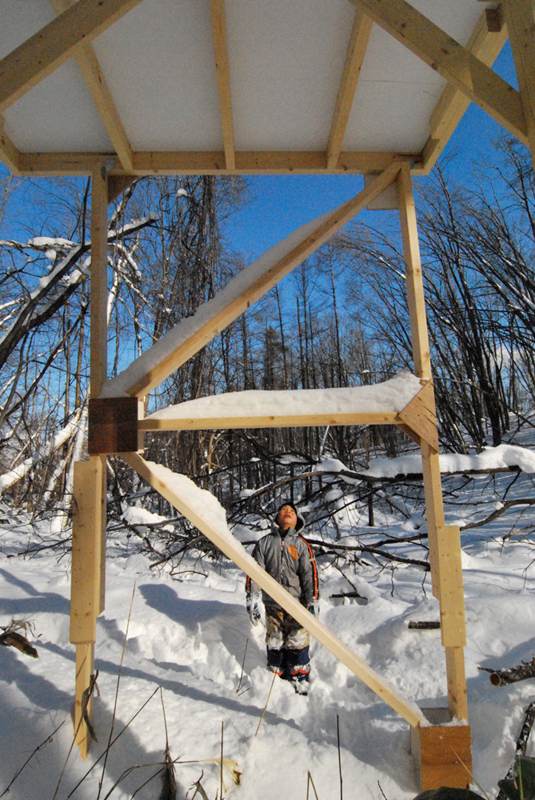 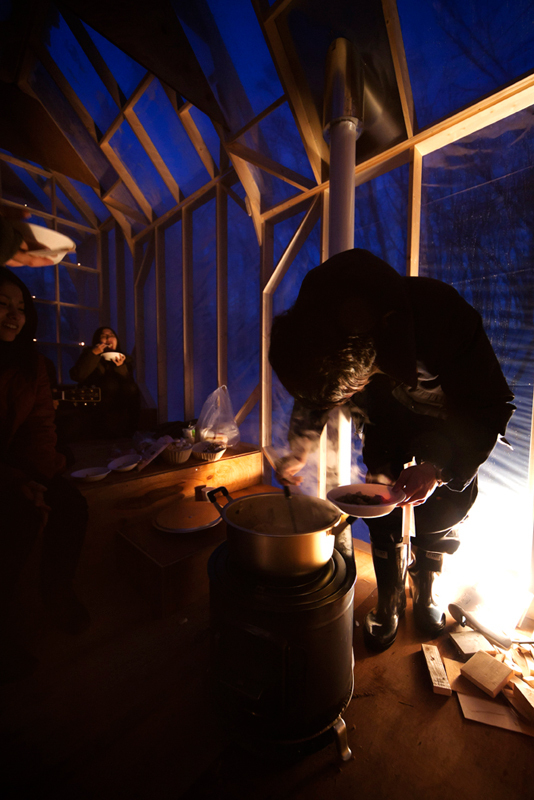 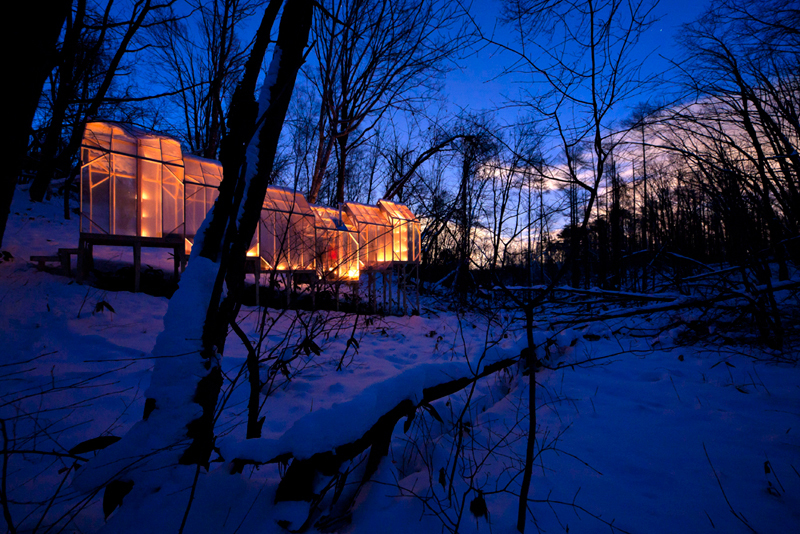 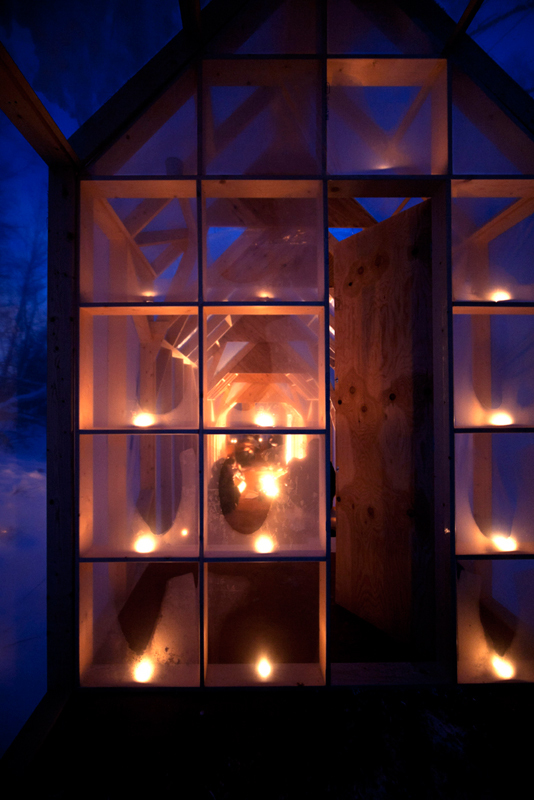 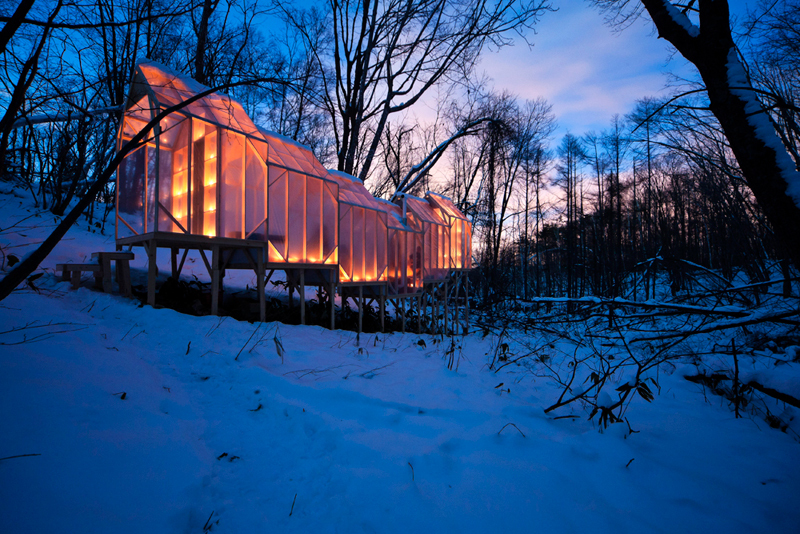 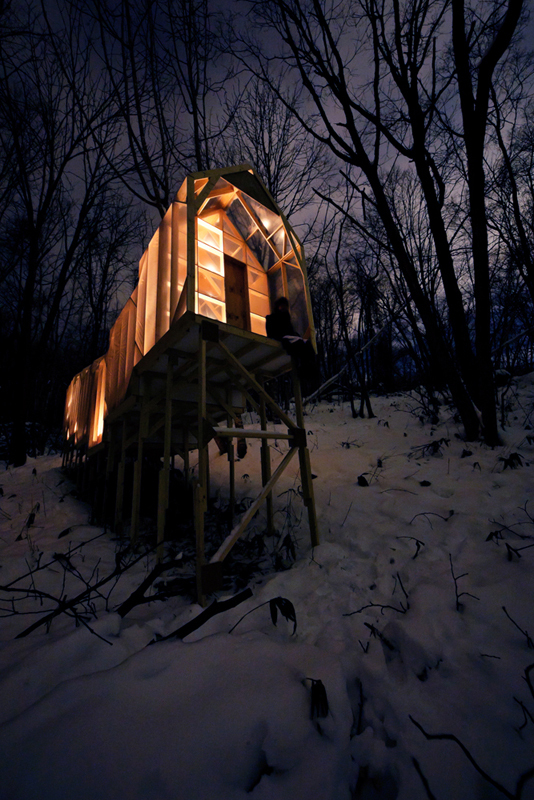 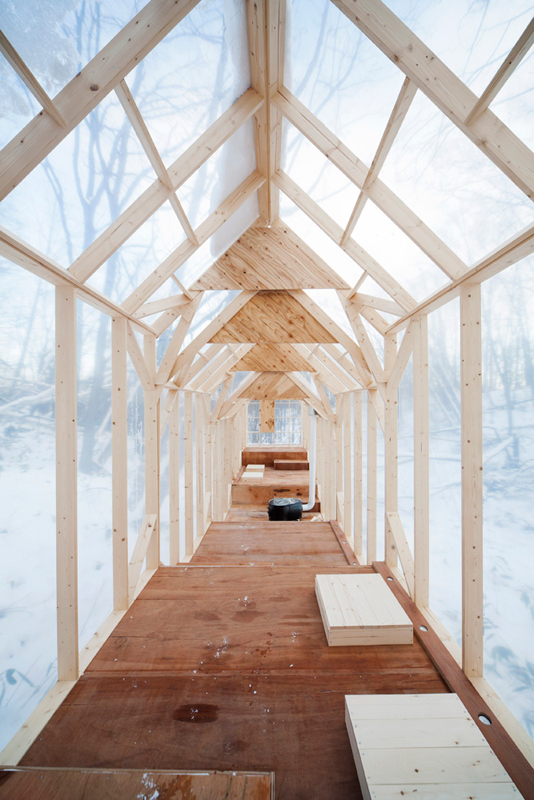 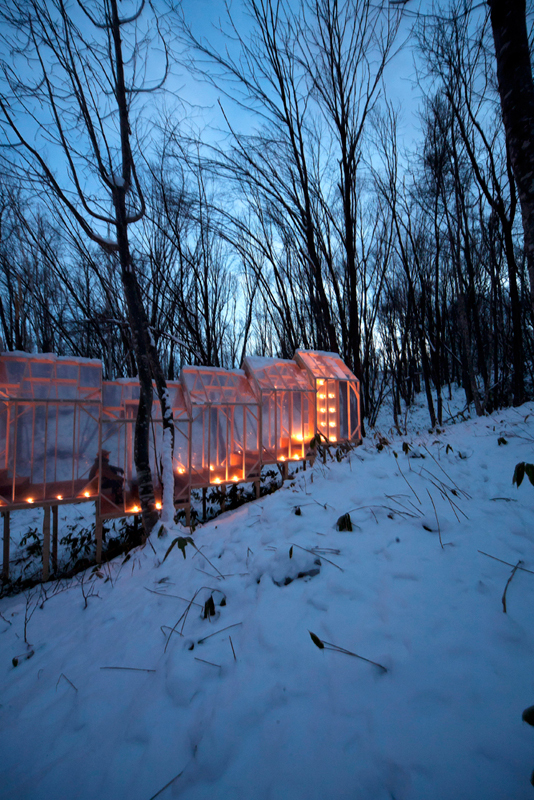 This project is a temporary shelter in the wild winter forest. 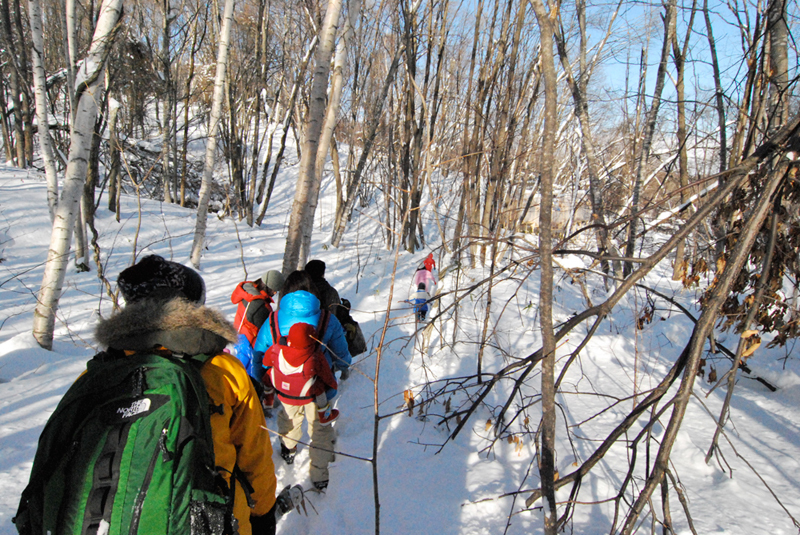 It leads people to gather, and number of events happened there. 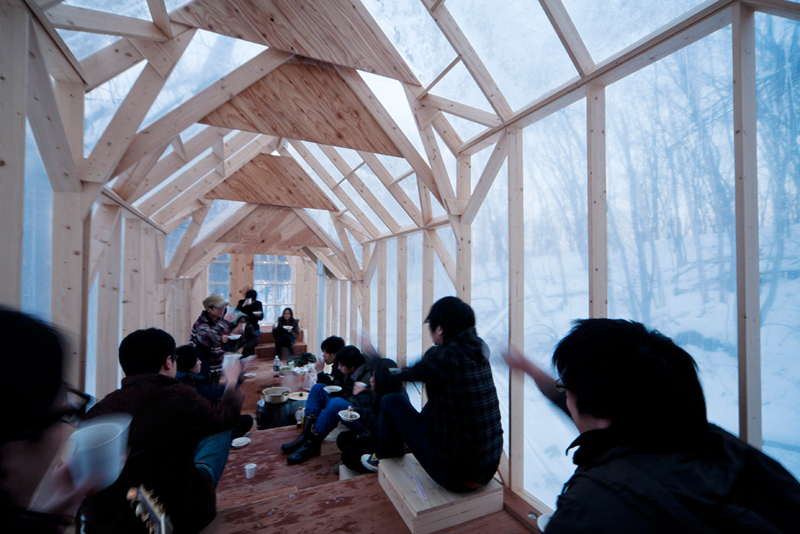 Sometimes, local student makes a party at there and sometimes local kindergarten children came there and had a lunch. 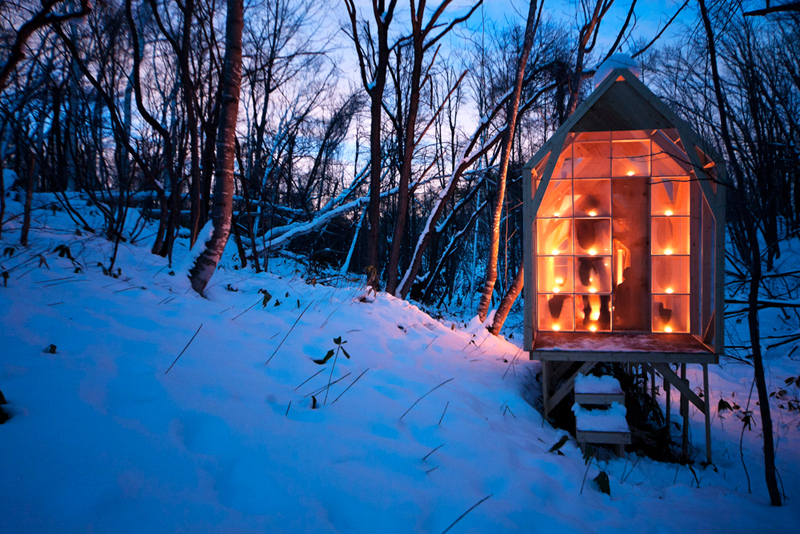 This is a cozy base for winter activities.